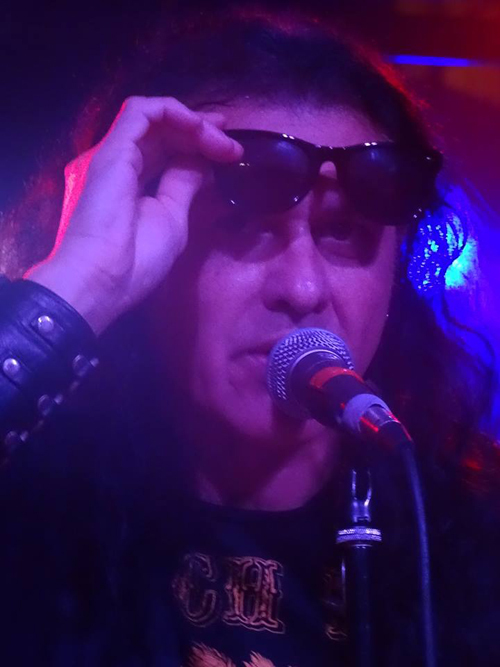 KNAC.COM - Reviews - LYNCH MOB In Pittsburgh, PA With Photos! 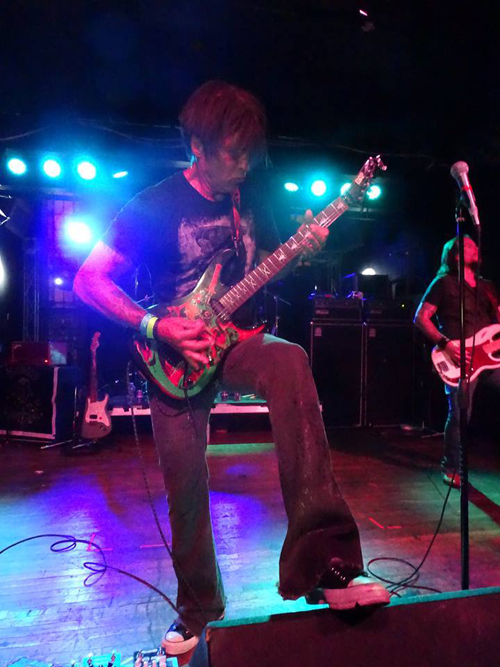 LYNCH MOB In Pittsburgh, PA With Photos! 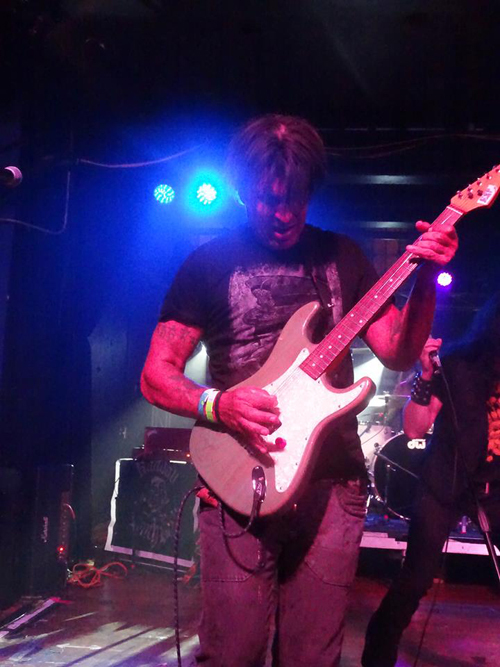 Almost precisely one year to the day, LYNCH MOB returned to the Altar Bar with a set largely composed of cuts from their most well-known album, Wicked Sensation, and an assortment of classic DOKKEN songs. 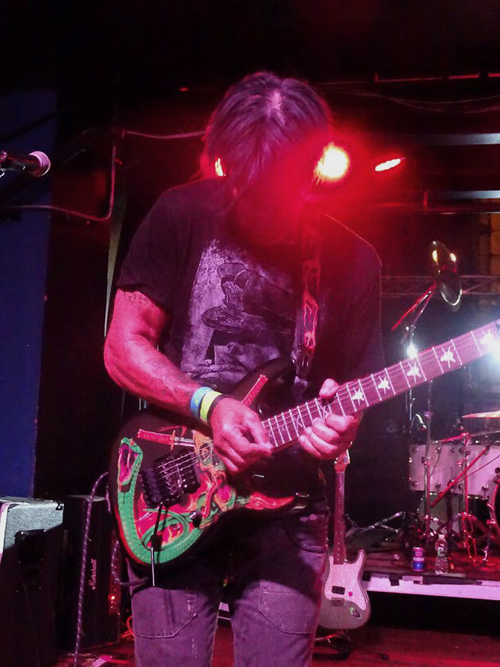 The set was very similar to their June 2015 concert, and the same cast was on hand to accompany George Lynch on guitar: Oni Logan (vocals); Sean McNabb (bass); and Jimmy D'Anda (drums). The continuity of the lineup was a plus, as they came across as a tight and complementary unit. 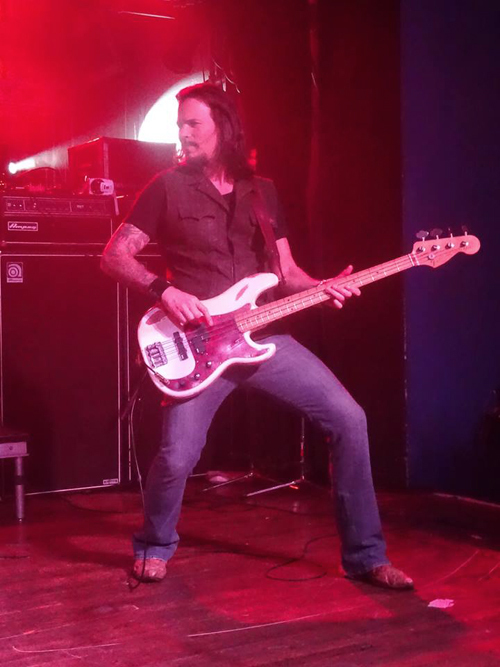 Suffice it to say that it was a solid and energetic effort by the entire band, so there's no need to rehash the show in detail ... rather, the focus will be on what made this show memorable. 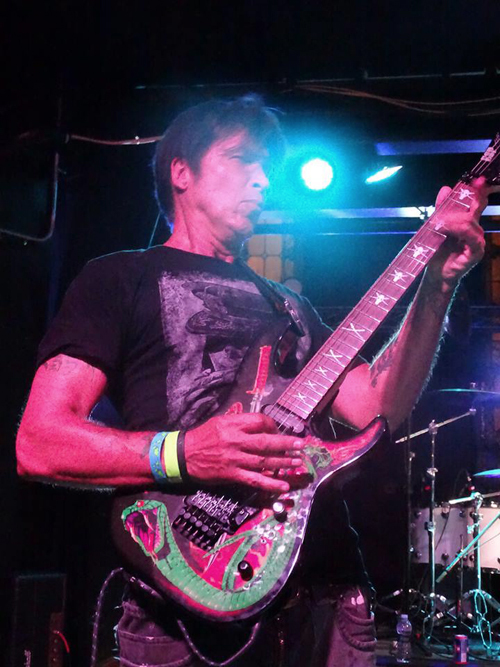 Having seen George Lynch many times with both LYNCH MOB and DOKKEN, it's safe to say that this was the most animated, talkative and loosehe has ever appeared on stage. Not to say that he wasn't serious, because it was an inspired performance. 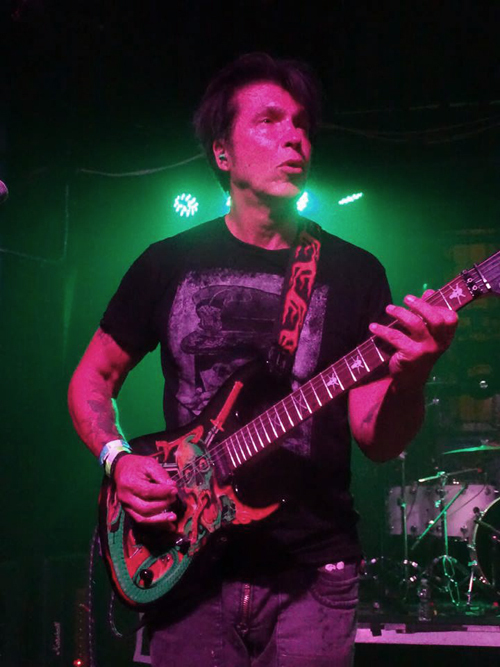 Lynch is one of the quintessential LA guitarists; along with Eddie Van Halen (king of the hill), Warren DeMartini, Jake E. Lee and others, he created a sound and style that was emulated by millions of aspiring players around the world. On this night, he lived up to his legend and his playing was particularly sharp. Yes, he often takes more liberties on some of his classic solos than many would appreciate, but this evening he was able to walk the fine line between honoring the composition and stretching out a bit. Examples of both ends of the spectrum were his versions of "Tooth And Nail" (fairly close to the record; at least more so than usual), and "When Heaven Comes Down" (more improvisational). The other elements that made this show noteworthy were the banter and stories (along with one unusual event) between songs. Specifically, after "Hell Child" George got on the mic and said, "I need my bar - my whammy bar - for the next song. Can someone from the Altar Bar staff go and grab it from my guitar case in the dressing room? Seriously, or I will have to get it myself." After standing there for a minute with no response, he proceeded to leave the stage to retrieve his bar for "Believers Of The Day". Not a common occurence, and to his credit, he handled the situation with a smile and no ego. Lynch's next piece of commentary came after Oni explained that they had sold out of merch and that George had made extra shirts in the parking lot of their hotel with a can of spray paint. "It is either really cool or really dumb - but I think it's pretty cool," was his response. 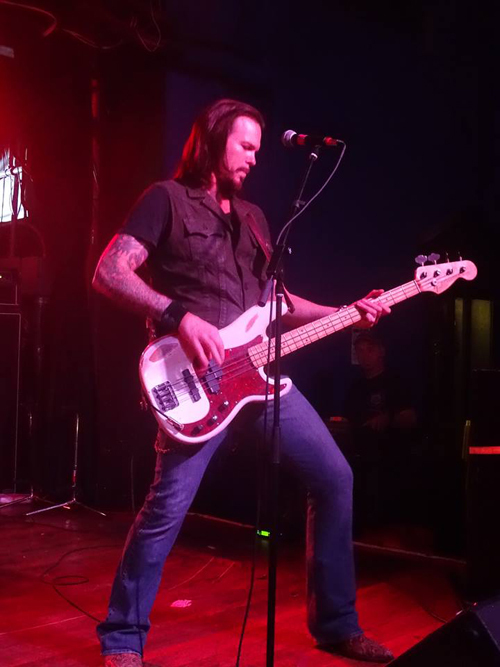 A few DOKKEN songs later, as the crowd showed their appreciation for an excellent rendition of his signature instrumental "Mr. Scary" he quipped, "Sorry about that one note." It was a bit of an inside joke for musicians and may have gone over the heads of most, but was a good line nonetheless. George was also kind enough to recognize that the Altar Bar was closing this summer. He mentioned the numerous shows they had done there over the years and their desire to return when it reopens, "Hopefully in another church." Finally, George noted that his son Sean and his friends were in attendance, so the show clearly had some extra meaning for him. 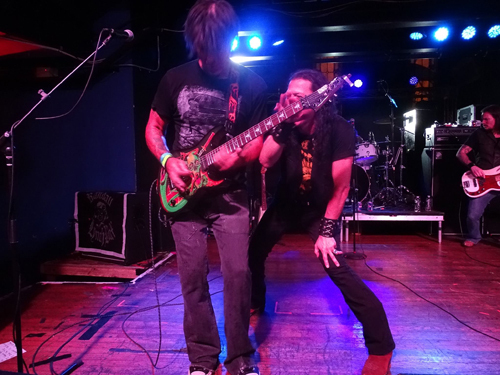 To summarize, it was a worthy last stand for LYNCH MOB at the Altar Bar. 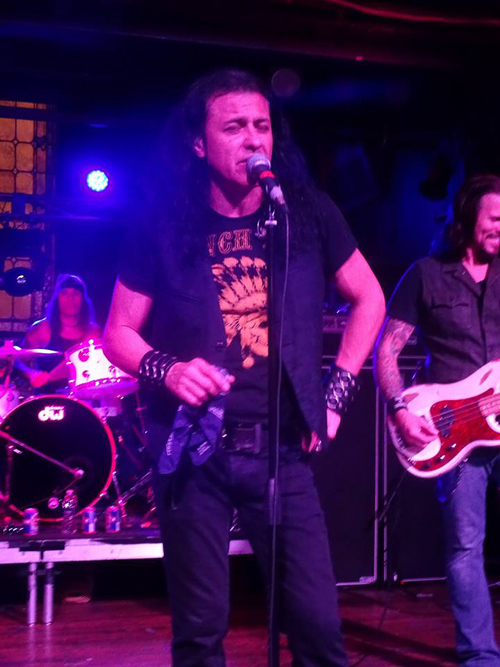 And by the way, even if you missed them on this tour, it's not too late to give their 2015 Frontiers Music release Rebel a listen.